For a while I had been thinking that I would like to travel to Ottawa as I had not visited the city for several years now. 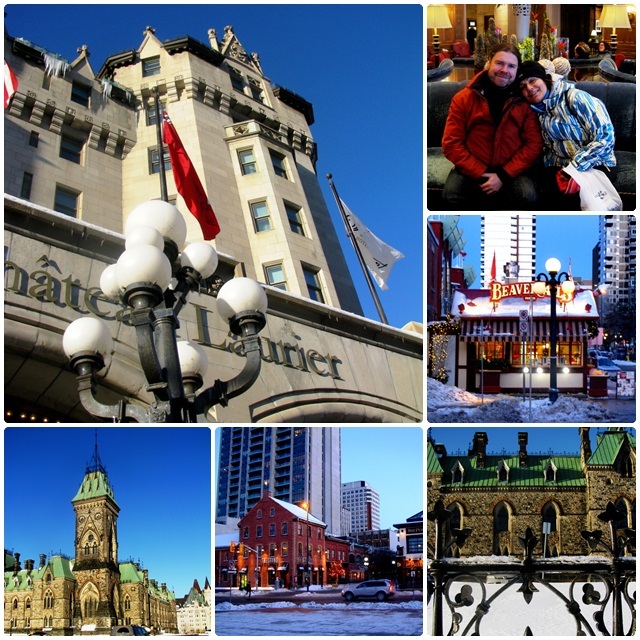 Despite the fact that the winter weather in Ottawa can be very cold, it is still a phenomenal getaway destination with lots of activities and not too far from Toronto. And I had friends in Ottawa – two people I had never met, but I had interviewed them for my travel website: Mony Dojeiji and Alberto Agraso are pilgrims. Each of them walked the Camino de Santiago and they both completed an amazing 5000 kilometre Walk for Peace from Rome to Jerusalem. For 13 months and through 13 countries, they experienced a physically demanding trek as well as a meaningful inner journey. This life-changing experience opened up a well of profound spiritual growth and a commitment to peace and justice. Several years later they wrote a book about their experience called “Walking for Peace” which was a winner in the Action/Adventure category of the 2012 Dan Poynter Global Ebook Awards and garnered several other awards. I had longed for a while to meet this spiritual couple face-to-face, and in January of 2012 I called them up and told them of my plans to travel to Ottawa and to hopefully meet them in person. Within a few short minutes they suggested that I spend the first couple of days with them in Canada’s capital. I was definitely looking forward to meeting Mony and Alberto in person. Fortunately, the 5-hour winter drive from Toronto was reasonably enjoyable, without any snow squalls or other weather-related hazards. On January 19 I finally arrived at Mony and Alberto’s house in the afternoon and strangely enough, it was like coming home to meet some great friends. Apart from the interview, I had never met this couple before, but they gave me a warm embrace right away and welcomed in their warm home. 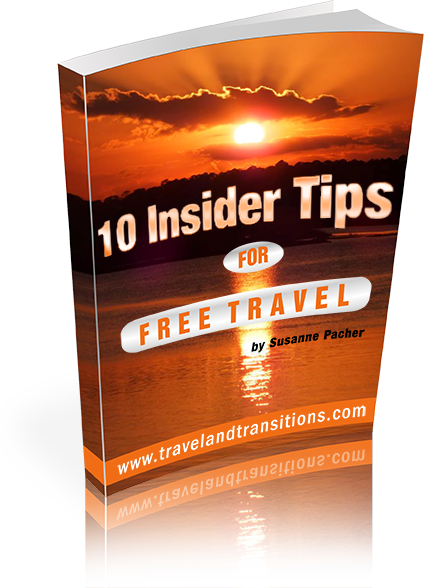 Travel has a wonderful way of connecting like-minded people and of building friendships between people of different places and backgrounds. 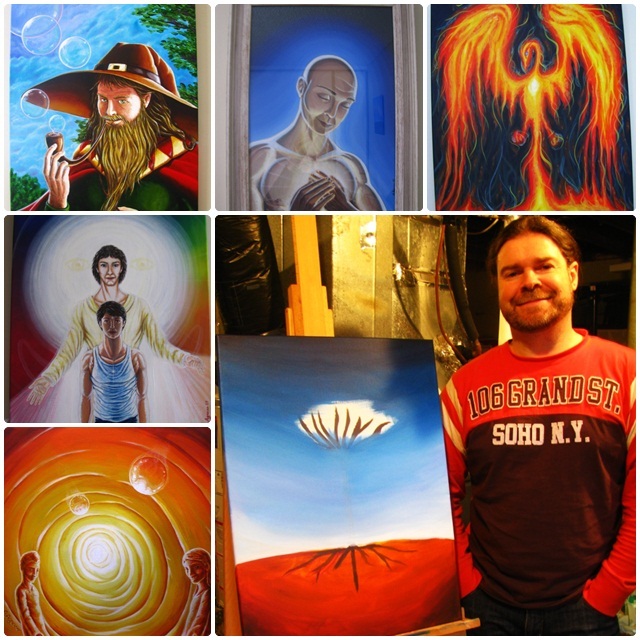 Alberto is a gifted artist, and in his colourful paintings, he shows many of the magical insights that have inspired him. I enjoyed a tour of all the paintings that adorned the house and saw Alberto’s studio where all the creative magic happens. Mony introduced me to their daughter Sylvana who just returned from playing outside in the snow. We talked for hours about life and its transitions, about the physical challenges of long-distance walking and the reflective opportunities of pilgrimage travel. We enjoyed a nice dinner together and I felt at home here in this warm and cozy house in Ottawa. The next day started with brilliant sunshine and this day was our opportunity to check out some of Ottawa’s travel destinations. After a hearty lunch we dressed up really warm – Ottawa is, after all, one of the world’s coldest cities, and on this day the mercury stood at roughly -20 degrees Celsius. In the early afternoon we headed out to explore some of the insider spots that Mony, Alberto and their daughter Sylvana enjoy. 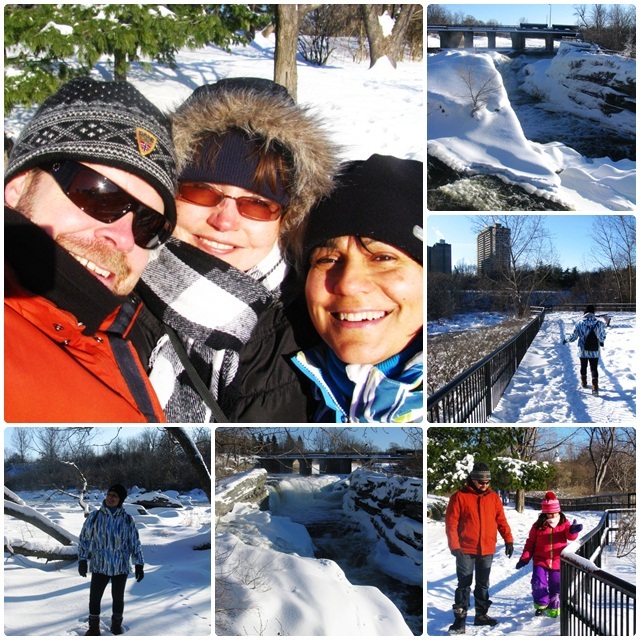 After a short drive we arrived at Hog’s Back, a scenic waterfall on the Rideau River in the middle of town. This series of waterfalls was artificially created by the construction of the Hog’s Back Dam during the building of the Rideau Canal in the 1830s. As the oldest continuously operating canal system in North America, the Rideau Canal has been designated a UNESCO World Heritage Site and is an important tourist attraction in the Canadian capital. We continued our Ottawa travel explorations with a visit downtown in the ByWard Market. This market area in the Lower Town district of Ottawa is one of the oldest parts of Ottawa. Operating since 1827, the ByWard Market is Canada’s longest continuously operating farmers’ market. It is also home to various restaurants and bars, making it one of Ottawa’s favourite entertainment areas. 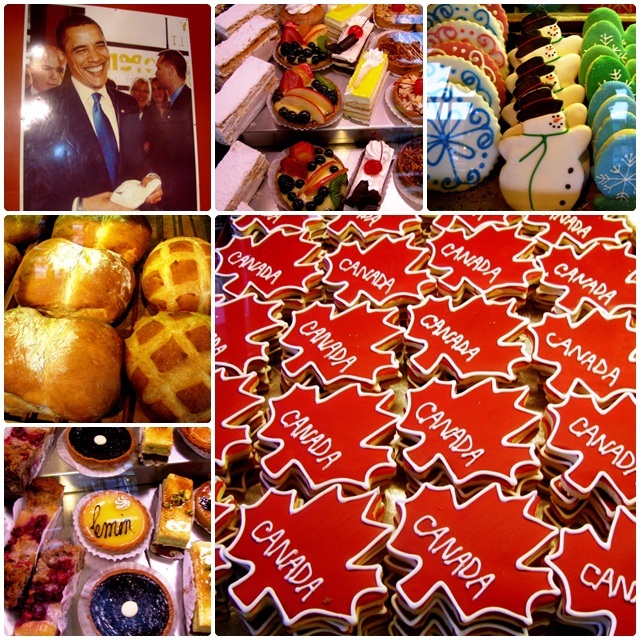 Our destination was one of Mony, Alberto and Sylvana’s favourite places: the “Moulin de Provence”, a bakery and café bistro that became famous as a result of a visit by President Obama in 2009. On an official tour of the city, he picked up a cookie (a maple-leaf shaped shortbread cookie with “Canada” written on it). This particular item has since been renamed the “Obama cookie” and has become one of this bakery’s most popular items. We sat down and enjoyed some delicious sweets, each of us choosing a nice dessert from among the more than 200 different types of freshly created products. We capped our explorations of Ottawa off with a brief visit to the Chateau Laurier, Ottawa’s historic flagship hotel. It had been a great idea to travel to Ottawa and meet Mony and Alberto in person. I had thoroughly enjoyed my time with them and was grateful for their wonderful hospitality. After some big hugs we said goodbye and I drove to the train station to pick up my two friends from work with whom I was going to embark on more Ottawa travel adventures.